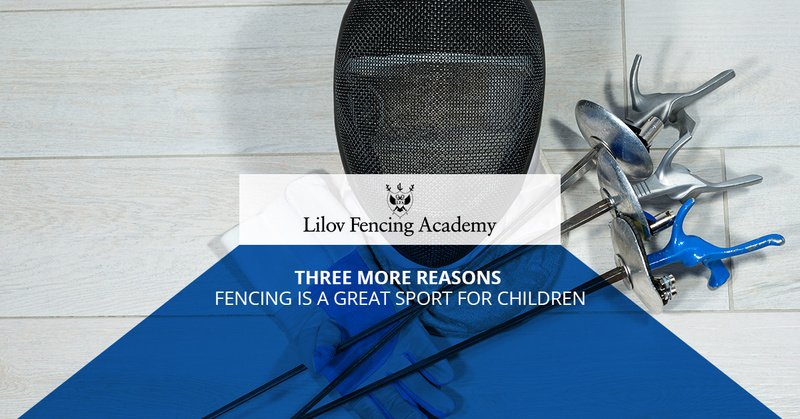 In our last entry, we covered three important reasons that fencing lessons might be a good idea for your child. Today, we will give you three more factors to take into consideration when you’re deciding whether or not to let your kids try fencing lessons for awhile. At Lilov Fencing Academy, we employ some of the best fencing coaches on the planet. Many of them have served as coaches for national and Olympic teams or have been fencers on prestigious college teams. We want to impart their knowledge and passion for the sport of fencing to the next generation at a brand new, world-class training center. Contact us to learn more about our Cedar Grove fencing academy! While today’s children may have it easy in many ways that you didn’t, there is an incredible amount of stressors in their lives that they need to be able to deal with in ways that don’t damage their minds or their bodies. Fencing lessons are a great outlet for stress for several reasons. First, fencing requires sustained and intensive exercise. Exercise has been shown time and time again to reduce stress and to help people of all ages sleep better. Solid sleep improves almost every part of a person’s life, from their weight to their mental health. Second, because fencing is a martial art, your child learns the discipline behind the sport as well as getting the physical release of trying to outdo their opponent. Fencing is a sport that many top-tier universities, including those in the Ivy League, are always looking for new talent in. While the sport may not have the coverage on television that basketball, football, or soccer has, it has cachet among institutions with connections to universities across the world where fencing is more broadly appreciated. The ability of American schools to compete internationally is important, so they are always searching for the next incredible fencer. If you child starts fencing at an earlier age, they can use it as another way to boost their chances of being accepted at one of the best schools in the country. While the other reasons we have mentioned are important, one of the most important is also the most simple: fencing is fun! There are few ways in our modern world for kids to (safely) learn about handling a sword and even fewer ways for them to get to use them to practice their skills! While fencing is a sport where individuals compete, the group of students that come up together can become the best of friends and lead each other to make advancements that they might not otherwise make. The sense of camaraderie and friendly competition can become a vital part of your child’s life, so give them something to belong to today! At Lilov Fencing Academy in Cedar Grove, we’re dedicated to training the next generation of fencers. Contact us today to find out more about our fencing camps and classes!